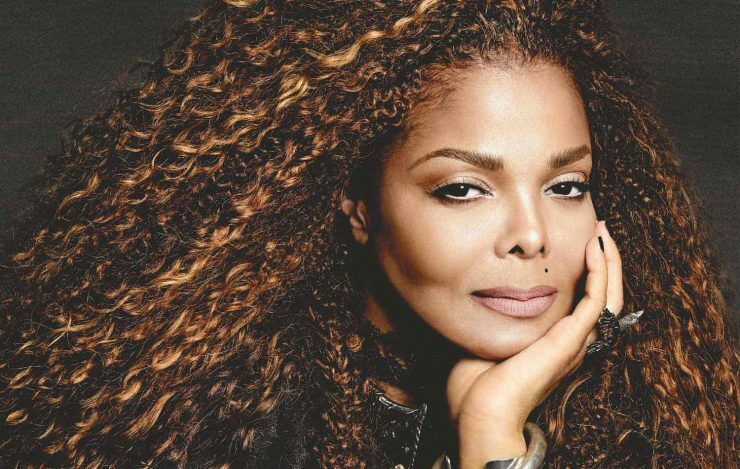 Could Janet Jackson really be on her way to Worthy Farm this year? Janet Jackson’s DJ has just fueled the rumour fire further over recent reports of the singer playing this year’s Glastonbury Festival. Following the yesterday’s (January 29th) original report by The Sun – DJ Aktive, who is known for working closely alongside many musicians, including Jackson, has now seemingly confirmed the American singer’s slot by sharing a screencap of the original article on both his Instagram Story and official Facebook account (see below). According to The Sun, Janet Jackson will be heading down to Worthy Farm later this year. 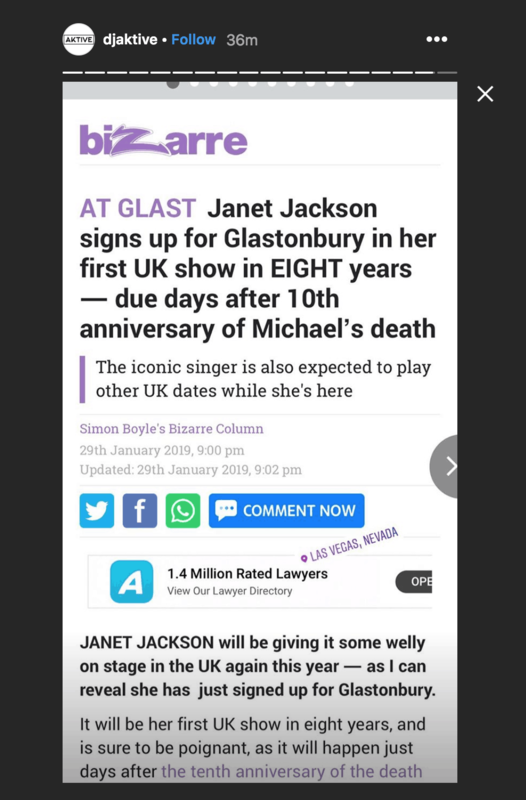 Whilst unconfirmed by Glastonbury Festival officials – a “Glasto insider” has apparently told The Sun that: “Janet is relaunching her career in a major way this year and thought this would be the perfect opportunity. 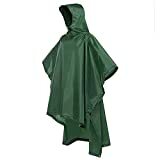 If indeed this rumour does turn out to be true (which seems unlikely for so many different reasons – but hey, it’s Glasto, so you never really know) – this will mark the American singer’s first UK show in eight years, since she was last seen doing a three-night run at London’s Royal Albert Hall back in 2011. It will also be just days after the 10th anniversary of the death of the King of Pop, her brother, Michael – wich passed away on June 25, 2009. The “Nasty” singer headlined the Essence Festival in the US last year and with 38 UK Top 40 hits, 11 studio albums and a career spanning more than three decades – it may be improbable but not implausible to see her grace Worthy Farm sooner or later.